During practice for last weekend's MotoGP race at Assen Jorge Lorenzo crashed in practice (see the video here) and broke his collar bone. He flew back to Barcelona for surgery and was written off for a few weeks. 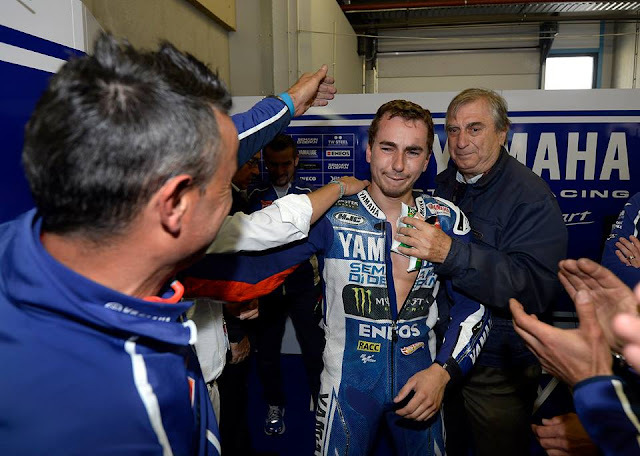 The next day he flew back to Assen, did 10 laps to secure his place in the race, started in 15th and finished 5th. The agony that entailed is etched in his face in this photo. Jorge - we salute you.